Here's one of five short films we produced for the City of Copenhagen about a cycling life in Copenhagen. This one is about cycling in the winter. They're all short and sweet so City employees can show them at conferences or whatnot. We've had this season's first snowfall and there's more forecast for this week so why not kickstart the season with some fine how-to films from the Danish capital. Here's a film we made back in January - more of a music video length - which hammers home the fact that the bicycles keep on rolling through sleet and snow in Copenhagen. 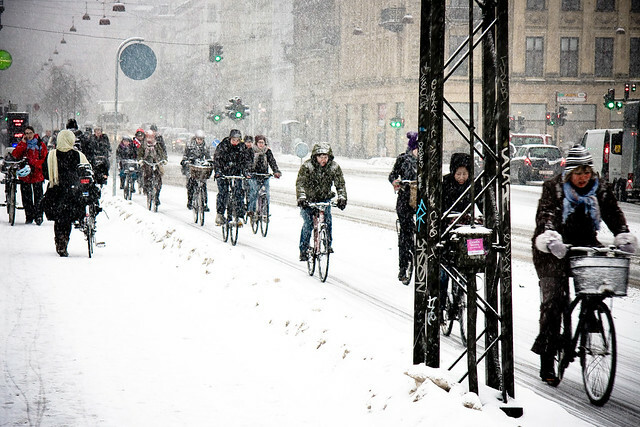 80% of Copenhageners continue to ride through the winter.